The new and old are battling it out in Indonesia. But, ultimately, they might bring the country to the same place. 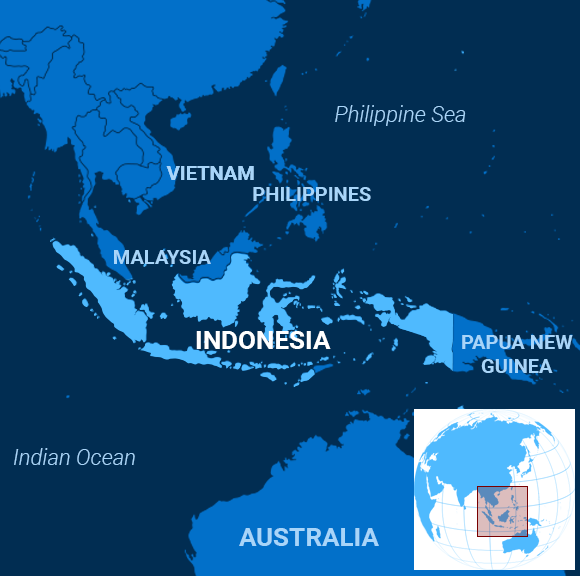 Indonesian President Joko Widodo, a 57-year-old ex-businessman, is ahead in the polls as 193 million voters prepare for the Southeast Asian country’s April 17 election. “His experience is as a manufacturer. …That’s how he approaches governing, that the state should work like a business and reduce costs, make processes more efficient,” Kevin O’Rourke, an independent analyst, told the South China Morning Post. Widodo’s rival, Prabowo Subianto, 67, is a former general, a Muslim conservative and son-in-law to the late dictator Suharto (who didn’t use a surname). Yet he rails against elites, saying they too often disappoint the people. His campaign has used “Make Indonesia Great Again” as a slogan. The former general has been accused of human rights abuses under Suharto’s 31-year-long regime – accusations that he denies. Widodo only barely defeated Subianto in 2014. The incumbent has vulnerabilities, the Financial Times wrote. Gross domestic product has grown by about 5 percent a year under the president. That sounds great, but he promised two points more. The British financial newspaper listed “eliminating structural bottlenecks, boosting human capital and sustaining infrastructure investment” as big hurdles. Other factors are at play. Gangs calling themselves Preman – from the phrase for “free man” in Dutch, the former colonial tongue – have allied themselves with different parties. Wearing berets and other military garb, they evoke the archipelago’s violent past, especially the communist purges of the 1960s when similar goons helped kill hundreds of thousands of people. But the real wild card in the Indonesian election is the professional military. Empowered under Suharto, soldiers and police were banned from voting in 2004. But the military is still one of the country’s most powerful and popular institutions. Some of Widodo’s closest advisers are former generals, a sign that he’s seeking the military’s support and maybe keeping tabs on potent political players, Al Jazeera reported. In turn, the armed forces have assumed bigger roles in fighting crime and other civilian concerns under his watch. Subianto has vowed to reduce democratic reforms and bring the brass back into directly leading the country. Writing in the New York Times, Jakarta-based researcher Evan Laksmana said he believed the generals would garner more power under both candidates, though more rapidly and potentially dangerously under Subianto. Indonesian voters want economic growth in the future. Some want it even if that future looks like the past. The Red Cross distributed the first shipment of essential supplies to reach Venezuela on Tuesday after months of delays as embattled President Nicolas Maduro refused to admit the scale of the humanitarian crisis. With opposition leader Juan Guaido – who many countries now recognize as Venezuela’s legitimate leader – seeking to leverage the crisis to speed Maduro’s ouster, political jostling came at the expense of people’s welfare, the Associated Press reported: Guaido garnered international support to amass tons of supplies on the country’s borders and Maduro refused to let the materials into the country. Meanwhile, the Red Cross insisted at the end of March that it would not accept interference from either side and would distribute supplies wherever they were needed, regardless whether hospitals are state-run or not. Meanwhile, both the government and the opposition tried to spin the arrival of aid as a victory. Egypt’s parliament approved changes to the constitution that would pave the way for President Abdel-Fattah el-Sissi to remain in power until 2030 if backed by a public referendum expected before Ramadan starts in early May. Specifically, the amendments change the length of the presidential term to six years from four, and impose a two-term limit, Al Jazeera noted. But the change would reset the clock for el-Sissi, allowing him to extend his current term by two years and then run for another six-year term, even though he has already won election twice under the existing rules, in 2014 and 2018. Critics allege the scheme is a step toward a return to the authoritarian system Egyptians hoped to abolish for good with the popular uprising that ended Hosni Mubarak‘s decades-long rule in 2011. The move follows a visit by el-Sissi to the White House and the ouster of long-time leaders in Algeria and Sudan. El-Sissi’s government, too, has drawn flak for persecuting his political opponents. Human Rights Watch says more than 15,000 civilians, including children, have been subject to military prosecution in Egypt over the past three years. Africa witnessed a whopping 700 percent increase in measles cases in the first three months of 2019 as the number of cases reported worldwide quadrupled, according to the World Health Organization. The symptoms of Ebola may be more frightening but measles may be more dangerous in the long run, as actual numbers of those affected are likely much higher, the BBC reported. Globally, only one in 10 measles cases is typically reported to authorities, the WHO said. Around 170 countries reported 112,163 measles cases to the WHO in the first three months of this year, compared with 28,124 cases across 163 countries during the same period in 2018. Ukraine, Madagascar and India have been worst hit by the highly contagious disease, with tens of thousands of reported cases per million people. At least 800 people have died in Madagascar alone as the result, while the disease typically kills around 100,000 people a year worldwide. Those countries suffer massive outbreaks of the disease because their vaccination rates are low. But infection rates have spiked in rich countries as false reports about the dangers of vaccines have encouraged people not to vaccinate their children. Scientists have discovered that mosquitoes can sniff out humans thanks to a special cell surface protein, but have yet to develop a repellent that will jam the bugs’ ability. In the meantime, they have found a noisier way to ward off the pests during hot summer nights, Smithsonian Magazine reported. In their experiment, scientists played the dubstep song “Scary Monsters and Nice Sprites,” by Skrillex, to a group of Aedes aegypti mosquitoes on repeat for 10 minutes. Another group of the critters – also known as yellow fever mosquitoes – didn’t have to go through the noisy ordeal. The insects that were blasted with electronic dance music became less likely to reproduce and seek out hosts, compared to the other group. “Sound and its reception are crucial for reproduction, survival, and population maintenance of many animals,” the research team wrote in their paper. It sounds like a great reason to have punchy dance music at summer parties, but scientists warn that sound pollution isn’t always beneficial to flora and fauna in general. In a previous study, scientists noted that beetles lost their appetite after listening to rock ’n’ roll tracks by AC/DC, but behaved normally when Willie Nelson songs were playing. Playing Joan Jett’s “I Love Rock ’n’ Roll” is out of the question then.